My name is Katie Braylyan, I’m a Master Lash Artist, Bella Lash Master Educator, studio owner and working Lash Technician. I started in this industry as an aesthetician providing a range of different treatments to women and, over time, realized that I have a passion for eyelash extensions. My initial eyelash extension training was in New York by one of the great educators for Lash Affair. But it was only a beginning of my journey. I have taken courses classic and volume from all over, USA, Australia, Canada and of course Russia. With not being very regulated in Connecticut, anyone can do lash extensions, but are they properly educated to provide this service? I believe if you will be in this industry, be educated and don't stop learning!! So now I am a Master Educator for Bella Lash and provide a beginner level two-day class that covers everything you will need to know including the highest quality care in eye health and safety. 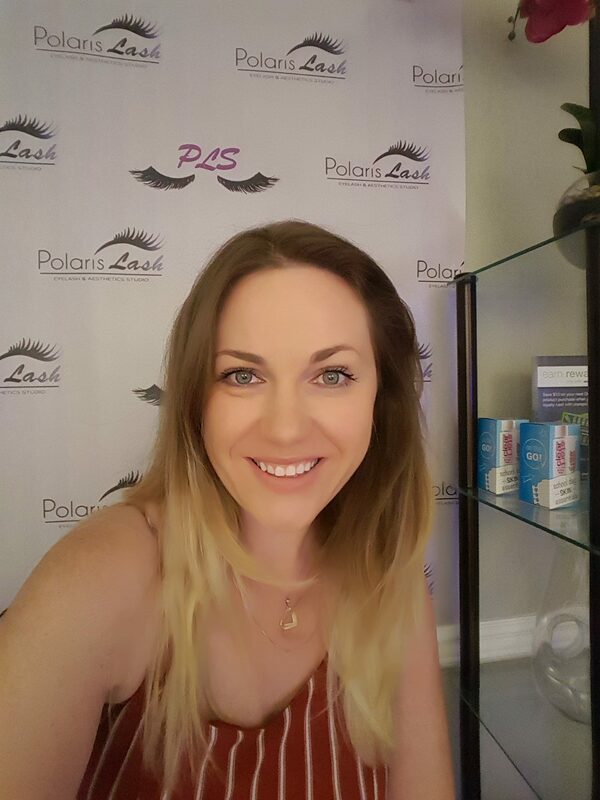 At Polaris Lash Studio, lashes are my passion.There are a lot of salons to choose from that offer eyelash extensions as an added service, but Here we specialize in them! At Polaris Lash Studio, I can proudly demonstrate an outstanding level of quality in applications and use premium products to achieve beautiful, long lasting results. I only use the the highest quality products. My goal is to select the proper weight and length so you may wear your extensions indefinitely. The health of your natural lashes is my top priority. . Protecting client's own natural lashes is my main concern. I only use pharmaceutical grade adhesive which never come in contact with your skin. I apply eyelashes about 1mm away from your skin to avoid eye irritaion. I was well-trained and have all the certifications I need to ensures state compliance with sanitation and safety procedures. I always try to give customers more than what they expect to get. I do not charge customers by the numbers of lashes I apply, nor the application time, but completion of our work and services. Tucked away in a private, serene studio space inside Simply Gorgeous Salon, I approach each clients lashes with unique lash design and customizable lash experience, so you can rest assure that your lashes will be safe, beautiful and perfect for your style. There are thousands of different looks we can achieve with our customized eyelash styling technique.